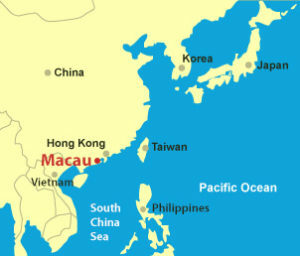 Macao consists of the Macao Peninsula itself and the islands of Taipa and Coloane, which are now connected by landfill to form the Cotai strip. 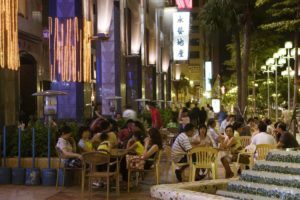 Han Chinese make up 95% of Macao’s population; another 2% is of Portuguese and/or mixed Chinese/Portuguese descent, an ethnic group often referred to as Macanese. According to the 2006 by-census, 47% of the residents were born in mainland China, 42.5% were born in Macao, and the remainder primarily in Hong Kong, the Philippines, and Portugal. Macao’s official languages are Chinese (Cantonese) and Portuguese. 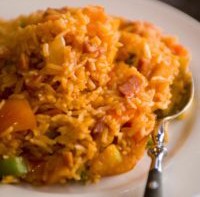 Macao still retains its own dialect of Portuguese, called Macanese Portuguese. Other languages—such as Mandarin, English, and Hokkien—are spoken by local communities. Macao has a humid subtropical climate, despite its low elevation coastal location south of the Tropic of Cancer, with average relative humidity between 75% and 90%. Similar to much of South China, seasonal climate is greatly influenced by the monsoons, and differences in temperature and humidity between summer and winter are noticeable, though not as great as in mainland China. The average annual temperature of Macao is 22.7 °C (72.9 °F). July is the warmest month, the average temperature being 28.9 °C (84.0 °F). The coolest month is January, with a mean temperature of 14.5 °C (58.1 °F). The official Macao currency is the Pataca (MOP$). Hong Kong dollars are widely accepted on a 1 o 1 basis. Major credit cards are widely accepted by retailers, hotels, and restaurants in Macao. Discover Card is not. Automated Teller Machines (ATM’s) are widely available. Most of them dispense both Macao and Hong Kong currency. Money can be exchanged at banks or independent money changers. Changing Macao Patacas outside of Macao (even in Hong Kong) is very difficult. 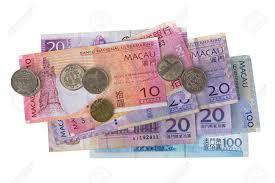 For this reason, many travelers to Macao prefer to use Hong Kong dollars in Macao. It is stated that tipping is not expected in Macao. Restaurants routinely add a 10% service fee – although this fee may not go to front-line staff. Travelers customarily add a small tip in addition to the 10% in restaurants. In taxis it is common to round up to the next highest dollar – thus for a $HK 19 fare, leave the drive $HK 20. Anybody handling your luggage should get at least a HK$ 10 to 20 tip, depending on how far they carry your bags and how cumbersome they are. Taxis are an inexpensive way to get around Macao with fees typically ranging from $US 4 to $US 10. Since many taxi drivers do not speak English, it is a good idea to ask a concierge or friend to write out your destination in the local language to show to the driver. The history of Macao is traced back to the Qin dynasty (221–206 BC), when the region now called Macao came under the jurisdiction of Nanhai Prefecture (modern Guangdong). The first recorded Chinese inhabitants of the area were people seeking refuge in Macao from invading Mongols. Under the Ming dynasty (1368–1644), fishermen migrated to Macao from Guangdong and Fujian. The Macao native people were Tanka boat people. Macao did not develop as a major settlement until the Portuguese arrived in the 16th century. In 1513, Jorge Álvares became the first Portuguese to land in China. 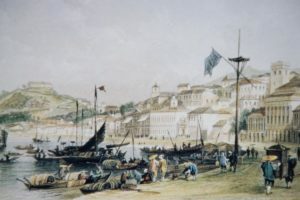 In 1535, Portuguese traders obtained the rights to anchor ships in Macao’s harbors and to carry out trading activities, though not the right to stay onshore. Around 1552–1553, they obtained temporary permission to erect storage sheds onshore, in order to dry out goods drenched by sea water; they soon built rudimentary stone houses around the area now called Nam Van. The Chinese government assumed formal sovereignty over Macao in 1999 as a special administrative region after over 400 years of Portuguese colonial rule. This event also marked the end of the Portuguese Empire and European colonialism in Asia. In this agreement, China promised that, under its “one country, two systems” formula, China’s political and economic system would not be imposed on Macao, and that Macao would enjoy a “high degree of autonomy” in all matters except foreign affairs and defense for the subsequent 50 years. The government of Macao provides for 15 years of fee-free education – 3 years of kindergarten education, 6 years of primary school education, and 6 years of secondary school education. At the policy front, there has been effort to implement laws and stipulations inherited from the colonial era from 1555-1999, while adding new ones to address new challenges arising from the post-colonial time. Education and care for the young is by and large provided by two types of institutions: nurseries and kindergartens, mostly private. In principle, nurseries provide care and education for children between 3-month-olds and before turning 5 years of age. Yet the majority will enter kindergartens at 3 and exit at around 6 years of age. The primary role of nurseries is to prepare the very young ones for kindergarten education, while the latter sets the foundation for primary school education. Quality of provision of nurseries is supervised by the Instituto de Acção Social, IAS (Macao Social Welfare Bureau), while that of kindergartens is guided by the Direcção dos Serviços de Educação e Juventude, DSEJ (Education and Youth Services Bureau). Compared to other systems, ECE in Macao might seem rather straight forward and appears easily manageable. Nonetheless, there is a missing conception of childhood as can be evidenced by the independent operations of the governing bodies, also in terms of nursery and kindergarten programme designs, ‘teacher’ qualification requirements, salary scales, and upward movement of teachers’ career path. Moreover, as in other Chinese societies, the general public of Macao would regard development and learning as significant to one’s personal growth, ‘family face’, and future prospects. Yet, the ideologies in today’s early childhood education, such as play as a means of learning, promoting children’s rights and creativity, are not highly appreciated by many parents since children’s academic achievement is seen as the key leading to future prospects and success. A 21st century, culturally and socially appropriate curriculum and pedagogy is needed in early childhood education of Macao. In year 2016, the government launched the Diverse Assessment Scheme hoping kindergartens to consider multiple means of assessing young children’s achievements at schools. The effect of this new Scheme in loosening up and providing a new direction for the compact and academic-oriented curricula is yet to be determined.